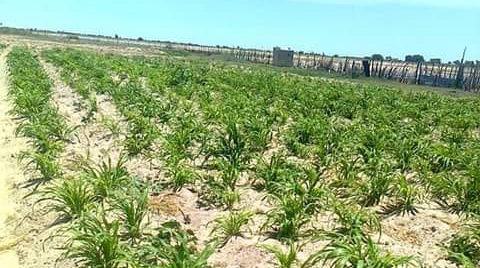 Pictured: A recent photo of a mahangu (pearl millet) field in northern Namibia. Household food security is still satisfactory in most regions despite the current drought that has Namibia in its vice like grip. According to the Agricultural Inputs and Household Food Security Situation Report of December 2018 the satisfactory food security in all regions of Namibia is due to significant improvement in agricultural production in the two seasons preceding the current season. At the time that the assessment was done the majority of households were reported to be dependent on their harvests for food access. According to the report households that were interviewed in the major communal crop producing regions as part of the study reported that their production is enough and expected to sustain them till the next harvest during May this year. The report states that according to farmers, high temperatures, light showers and dry conditions have dominated the first half of the season. Productive rains were only received end of December to early January, but are reportedly still poor and many farmers were unable to start agricultural activities. According to the report limited or no fertilizers stock noted in most regions is a cause of concern, as this will affect the already rainfall stressed crop production. Apart from limited or no fertilizers stock available in most of the regions, all the regions indicated their readiness in terms of having the basic inputs and access to cultivation services in place to kick start the season. 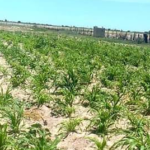 Limited demand from the millers, especially for pearl millet caused much of the grains farmers have in surplus to be left unsold due to the inability of the Agricultural Marketing and Trade Agency (AMTA) to buy the remaining surplus grains citing a lack of funds. In terms of stock farming the report states that grazing continues to deteriorate in various parts of the country because of the poor rainfall performance in the first half of the season. According to the report water availability for livestock continue to be a problem for most communal farmers in the Erongo, Omaheke and //Karas regions and they are facing water scarcity as the borehole yields continue to drop with some that have even dried up. The water situation in Hardap, Khomas and Kunene region was noted to be satisfactory as most boreholes still have water to sustain livestock. However, isolated complains of water shortages were reported. Some boreholes very low yield and in some cases the water is unfit for both human and livestock consumption. The National Early Warning and Food Information Unit of the Directorate of Planning and Business Development used information from various institutions and organisations within Namibia in order to compile the report.